"..and they lived happily ever after"
Every girl has fantasied a fairytale at some or the other point of her life. She has dreamt of having a fairytale romance with her Knight in shining armour, a Prince Charming who will sweep her off the floor and make her life magical. I am a girl and I admit that I have had my share of fairytale dreams too. The 'happily ever after' stories of Cinderella, Snow White and Sleeping beauty are far too alluring to be ignored. But, is a real life relationship similar to those of these Disney legends? I loved the insights shared on the similar lines on Bonobology. Real Couples. Real Conversations. It's the perfect website for relationship advice from real couples and every story shared here can be used as a source of inspiration and learning. Coming back to our Disney love tales, I seriously feel that these movies wrong the young minds of little girls who brew up images of a fairytale romance. As if these stories are not enough, there's Bollywood waiting for you to make matters more worse. From the train scenes of DDLJ, the airport scenes from every other Bollywood film where the Hero rushes to stop his true love from boarding a plane, the romantic proposals and the happily ever afters, Bollywood deceives our young minds with every Romantic film ever made. Then we grow up, out hearts already brimming with emotions and expectations only to be disappointed. We look for Raj, the Prince Charming from DDLJ in every other man we meet and continue our search of the phantom we have formed in our minds. When we finally get into a relationship, we fall in love but sadly, not with the guy but the idea of what we think he is. This is followed by depression, anger, loneliness and an ocean full of tears. So I wanted to share something with you folks today, a little secret which neither the fairytale books or the Bollywood chick flicks told you - Real life is far different and more challenging then reel life. The best thing to do is to not have any expectations and just be prepared for whatever may come. A real relationship is about ups and downs, yes, there are happy moments but there are sad moments too. It doesn't necessarily have to be a 'happily ever after' and there will definitely be a lot of tears but tell you what! That's just the beauty of life. 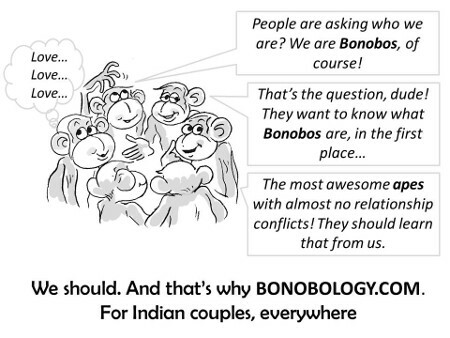 So my dear lovely readers, If you don't want to be wronged by fairytales and Bollywood chick flicks again and want to get some real insights from actual couples then you should definitely sign up on Bonobology.com like NOW. If you have experienced something which you would like to share with the world then there's a lovely stories section on this website too. So all you have to do is head to the write your story section of this website and make yourself heard. Be it some relationship advice you want to give others from your own past experience or a story of your friend you want to share, just pen it down here. 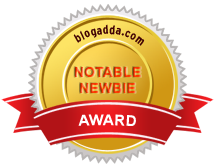 Also don't forget to read the amazing stories which are already up on this site. If you are sharing your story then do send me a link to it as I would love to read it! :-) Also, do share this website with your friends who are in the look out for some genuine Relationship advice - they'll be really thankful! DISCLAIMER: Bonobology.com caters to audience aged 18 years and above. Wonderful...in Bollywood films the lighter n romantic part is shown for amusing people and they show the emotions that churns within our mind n heart and the expressions are shown thru films, reality is bit different but if we possess heart full of love, the petty fuss will amuse you n keep the binding of hearts. One should see around oneself n try to learn the reality from own family, neighbor, friends n society. Rightly said Ma'am :) Thank you for reading. You said it loud and clear, agree with you. Likewise for men, we have to earn every day no matter how the movies show (often) the ones born with a silver spoon! wow !!!! very bold writing, loved this a lot. am checking the site right now, thanks for sharing. Thank you for writing about us and spreading the cheer!